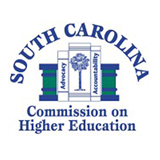 At their meeting on September 3, 2015, the South Carolina Commission on Higher Education voted to authorize staff, after consulting with the State’s Attorney General, to proceed with a Memorandum of Understanding or other legal option necessary for South Carolina to become a member of the National Council for State Reauthorization Reciprocity Agreement (NC-SARA). Presently, higher education institutions in non-SARA states must comply with the licensing requirements in each state where they want to provide distance education to students. This is an expensive and time-consuming process made more cumbersome by widely varying procedures, costs, and time-lines. A new, voluntary process of state oversight of distance education has been created to address these problems. The State Authorization Reciporcity Agreement (SARA) is a voluntary agreement among its member states that establishes comparable national standards for interstate offering of postsecondary distance education courses and programs. It is intended to make it easier for students to take online courses offered by postsecondary institutions based in other states and to reduce the licensing fees and administratve costs for the providers. SARA participation is voluntary. Member states and individual institutions work together through the four existing regional higher education compacts for the expressed purpose of improving the efficiency and quality assurance of distance education as a tool to increase educational attainment. Almost half of the states are members of SARA with more joining on a regular basis. In the coming months, CHE will seek legal authority to be able to sign an interstate reciprocity agreement and qualify as South Carolina’s portal agency for managing functional state responsibilities under SARA. 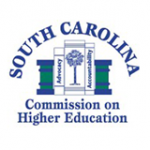 SCICU joined with five public college constituencies to urge the Higher Education Commission to move forward with plans to join SARA before the July 1, 2016 individual state licensing deadline set by the U.S. Department of Education. Anderson University President Evans Whitaker, a member of the Commission, helped to get the recommendation passed by speaking in support of SARA with the other Commissioners on several occasions.